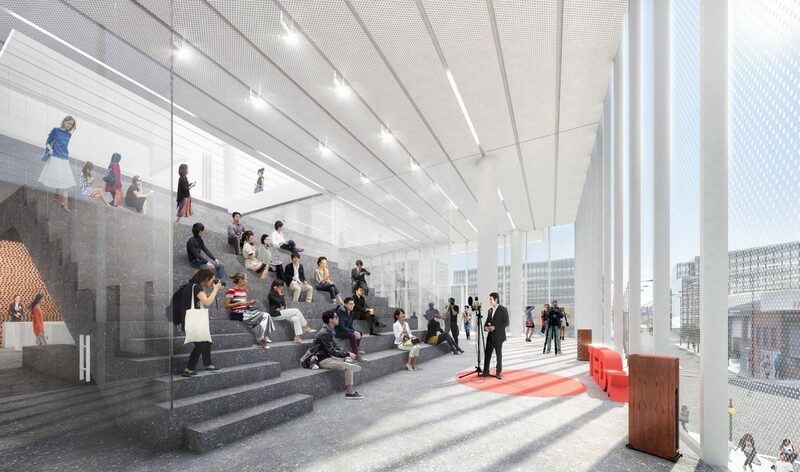 In collaboration with JCJ Architecture, the firm’s seven-story building is a “vertically-integrated campus” expressed as four connected volumes, each with an outdoor terrace programmed for different uses. A three-story open staircase, wide enough for terraced seating at the ground floor, opens up the space—and encourages walking. 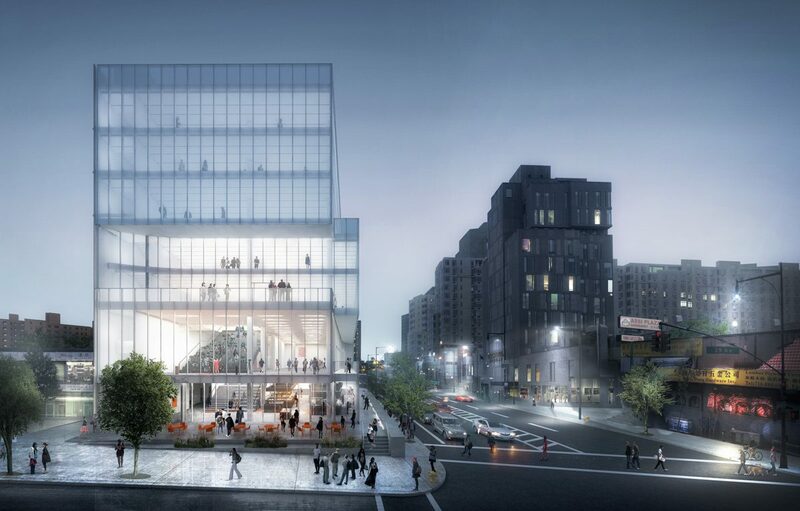 On the ground floor, a plaza hosting a 5,000-square-foot marketplace connects the building to the neighborhood’s vibrant street life, while upstairs, a flexible event space beckons people inside or onto an adjacent terrace. Floors three through seven are offices: A third-floor business incubator provides co-working space, where firms may seek assistance from Renaissance Economic Development Corporation, an AAFE affiliate. AAFE’s offices occupy the fourth floor, with the remaining above-ground floors are available to rent. 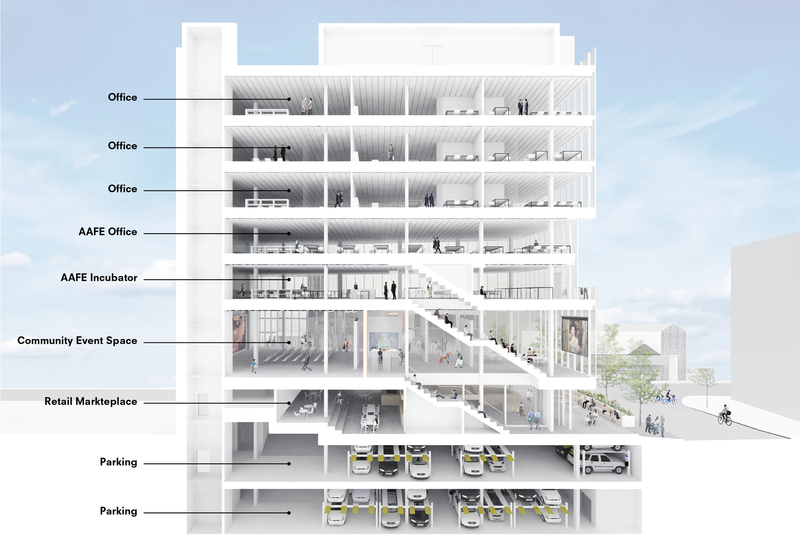 Two levels of below-ground parking round out the program. 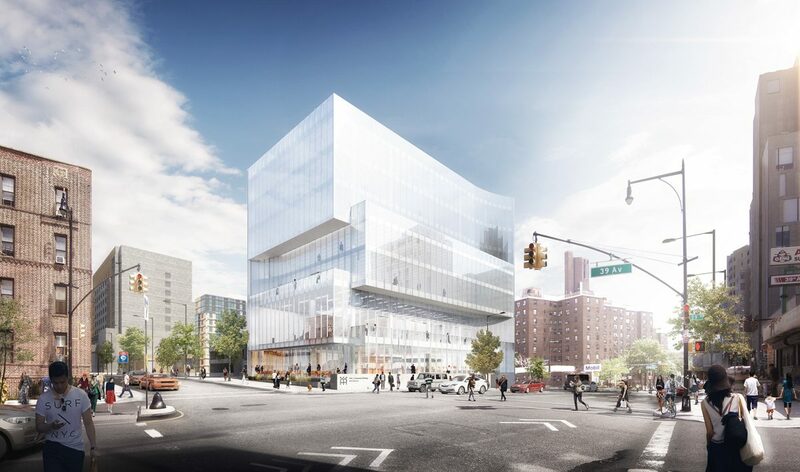 The facade’s transparency is greatest at the two lowest and most public floors, but the glass increases in opacity as the eye ascends to the upper, more private floors. 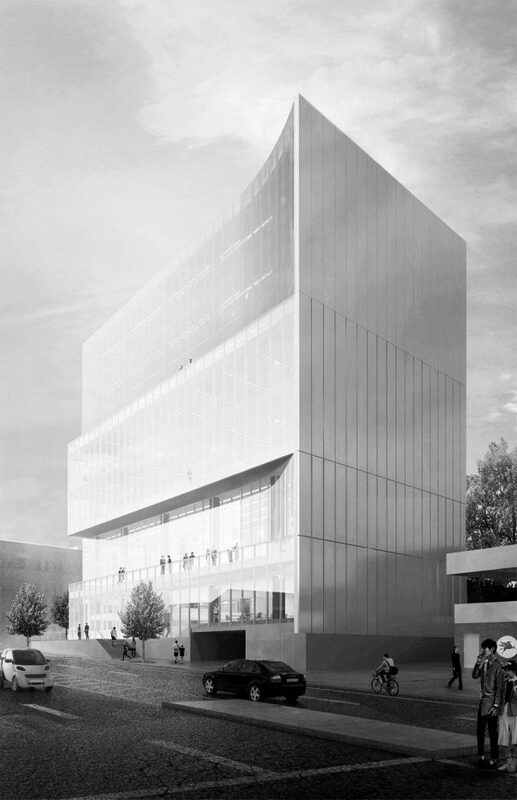 The lot line wall is clad in metal panels and roughly mirrors same spacing as the glass walls.